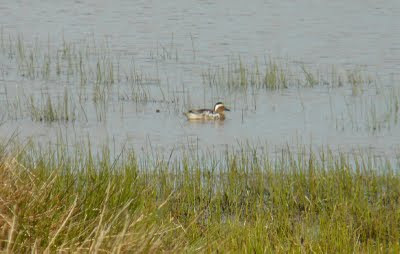 I've spent the last couple of mornings on the patch, having a good wander about but not turning much up. Yesterday, a singing blackcap was my only year tick since THE stork. 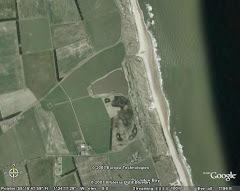 Today, once the Budge fields had been checked and a natter with John Richardson, I spent the rest of my time looking for meadow pipits nests in the dunes. 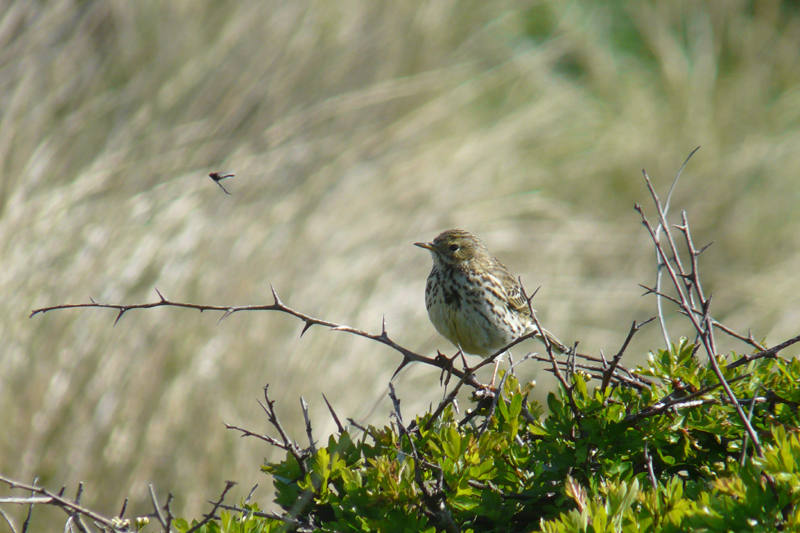 Meadow pipits are always plentiful in the dunes, which is quite amazing given that the dunes at Druridge seem to be the most popular dog walking spot in the Western World! This one had it's eye on a passing St. Mark's Fly, which are also plentiful at the moment. 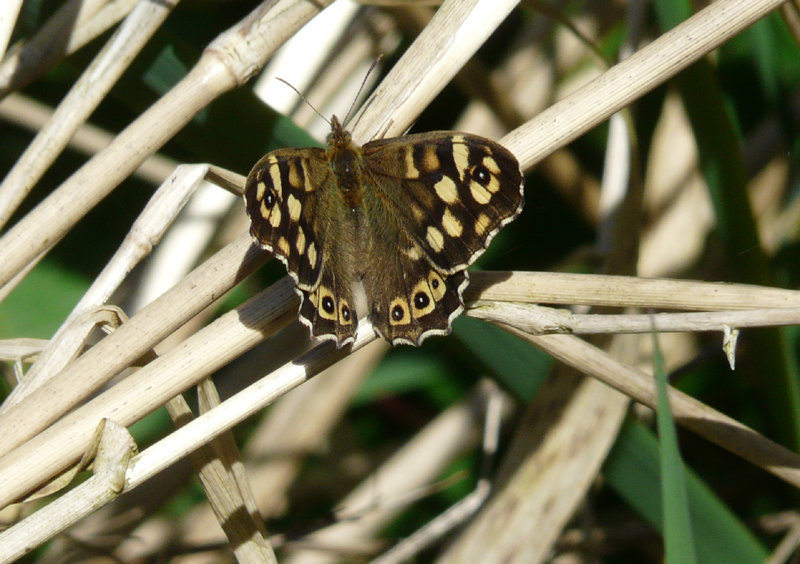 In the bushes I came across this speckled wood butterfly, easily the earliest I have seen at Druridge. 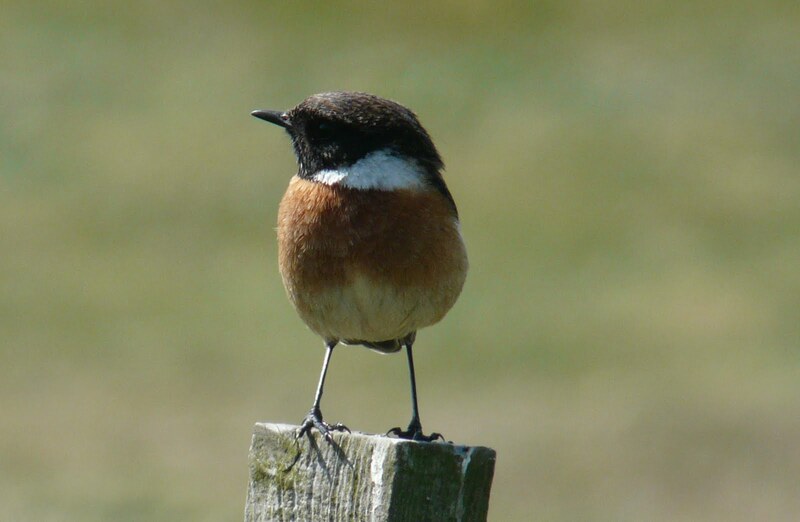 And to round things off, a stonechat picture, no blog post should be without one. I'm off to the Island of Mull tomorrow, extreme lengths to avoid a certain wedding so hopefully nothing rare turns up on the patch whilst I am away. Every post should have a stonechat photo Ipin........trouble is finding a stonechat!! Hi . My son was told by the Plessy Woods warden to view otters here. Can you advise when is a good time ? Thanks , great blog ! Otters used to be very reliable here, but I've not seen them since November. Otters are seen occasionally on most of the coastal pools on the bay but I don't know of anywhere reliable.